EVERETT, Wash. - Everett police are asking for help from the public in locating a 33-year-old woman who vanished early Monday and hasn't been seen since. The missing woman, Meara Lynn Nichols, was last seen by her husband at about 6 a.m. Monday before he left for work. She wasn't at home when he returned. The husband checked with friends, but none of them had seen her or knew where she might be. He then reported her disappearance to the police. According to the husband, Meara does not have her own car, and he used the one vehicle they own to drive to work on Monday. His wife also left behind many personal belongings, including her purse, at the couple's home in the 6800 block of Commercial Avenue, said Sgt. Robert Goetz of the Everett Police Department. The husband allowed detectives to search their home, but nothing suspicious was found. He also agreed to a polygraph test, which he passed. Detectives say they do not consider him a person of interest in Meara's disappearance. Goetz said Meara has no history of mental illness. She is described as standing 5-feet-1-inch tall and weighing 110 pounds, with hazel eyes and dark brown hair. She also has a pierced lower left lip. She was last seen wearing blue jeans, a black Carhart jacket, black shoes with white soles, black-rimmed glasses and a black baseball cap. 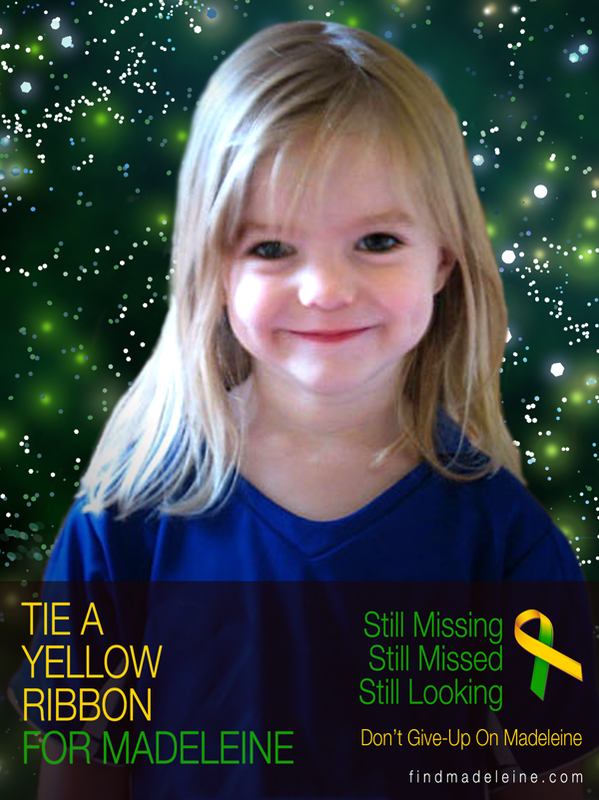 There is an alert for Meara who went missing January 30th 2012 and has not been seen since. Tarot sometimes can help to uncover a few useful details which I hope can help so below is a Tarot report for Meara. Please remember Tarot falls within past present and future time scales and I cannot always pocket the timeline therefore, what I write is a series of messages referring to any of those areas. Tarot cannot be guaranteed as 100 per cent accurate by Law as it is not considered Fact so please go to other sources to check for solid information. According to this card it seems that someone might have showed up at the door . This person may be male and generally speaking not over 32 years old . The person would appear to be friendly, neighbourly and responsible, even dutiful. This is a travelling motion however, walking comes to mind and either Meara went off walking with this person or they arrived on foot. Though it might not apply, this is in fact a financial card and the person might have been bringing some money or going to get some maybe even together? I see the Queen in the house and the garden in view which makes me feel she opened the door to someone and its possible there was a car parked nearby. This is all very work/money orientated so I feel her disappearance must be to do with work a visitor and finance. Maybe someone she knew at work if she does work or someone connected in someway to money/cash. All these cards are upright and from first glance I cant see anything negative at least on this first look at the time of being last seen. I might be wrong but thats what it seems on the surface. The card is North and would indicate a North direction but possibly North East. It does rather look like someone taking money somewhere or getting money brought to them. I think she needed money for something - were things a bit tight on finance? I am seeing other bits of scenery in this card such as a crossroads, and possibly having somewhere to go with shelter food etc. So it rather makes me feel that if someone turned up she might have gone with them? finance/taxes all the mathematical money digits seem to come up here as well as working or business connections. My guess is she ran out of money? or she had no money to pay for something? perhaps she was going for a job interview? if that would be the case then farmland might come up and even a live in job??? not to say that this is a definite situation but only to mention that these things can be possible or can be linked somewhere even to another person. The thought is that it is decisive action, so something has been decided and money problems family problems are all being weighed up and it just seems to lend the thought that perhaps she was setting out to get or be given cash or work. The Knight does suggest an 'arrival' so I felt that someone came to her door, she could have gone to someone elses but at least the suggestions are made. If there were reversed aspects then someone could have robbed her,but that has not been made clear, but rather that she needed or someone else needed money. As the hermit is attached it seems that she has gone to see someone and that she had received some kind of message or someone at her door to give a message to her, either way I do see that is what I am being given and there may be a trip in a vehicle involved. I think this would have been a very impulsive movement. Travel and a spur of the moment change of residence seems to be prevalent. It could be a working environment that she was going towards. Sometimes the knight of pentacles can mean a relationship with someone - but it is not often clearly defined so I will make a written note of that though often this card is thought of as someone we did not know so well? it could be just that the situation might be too hasty and therefore not thought about enough? I have a number 4 here and also a 13 which could be split as 3 and 1 seperately or as the 4. I am seeing someone here linked to animals, possibly domestic pets and perhaps a farm? Because Taurus is attached I think someone did say something to her and maybe there was a kind of stubborness about it but thats all I have. As for a location, this is a West direction but it could also be West as in the name of a place. It is a water card and therefore one would either expect a water name or place or perhaps water or big river somewhere in the vicinity. It also shows a Bridge/Arch and a very disappointed feeling here. If anything it could be upset through a love interest, or a new beginning that has gone sour. A W name or M might come up here - bells, fountains, waterfalls and October seems to have been a period of time that was significant in some way. This is a card of sorrow. The disappointment could even be through something that has lost its value, if for example a love affair or new start something has gone wrong here. I see a tree or tree name in the vicinity and that water appears to be there and a kind of rejection. Did she go for a job and was rejected or did something happen in her personal affairs? It seems rather likely it took a sour note. I feel that she is somewhere familiar and in the neighbourhood that she knows well or is known to her. Again West and the number 5 could be useful. I did see her connected also to North East which again could be a road as often roads have directions on them before the name of the road. I am also seeing her near an eating/drinking place? I feel she has been connected to three other people who might have been friends with her? not sure of the time scale of this but they are glimpses. I feel she went to a party somewhere at some point also but feel that is near home? Maybe an invitation somewhere locally, perhaps she met someone there and how this has all come about - however, I cannot place it into a direct time scale. There may be a Lake and boats some either near or distant or in the names of places/roads. I am seeing music here and again could be a music name or a venue? she lives at Commercial Avenue and one could even feel 'commerical music' as it is a term for it. However, I will just put the framework down and hope it triggers off some thoughts. I see someone who works in an office and someone who likes water and swimming? I have two older people here maybe a mother and a father also. Does she visit them much? I dont know if she was pregnant or whether something unexpected showed up but I do see her near water or 'fisherman' elements. Someone might have betrayed her in a relationship and this would reflect in this card of loss and disappointment. I do feel like there is a problematic relationship here that maybe provoked conflict of some kind. There are some misunderstandings regarding Meara apparently or she was involved in them. However these are some of the aspects I have to offer. Im just wondering if she made the wrong decision about something personal? This particular card tells me that Meara would be found linked to FOUR. That could mean fourth month, or 4 in a route/number/road or district or date. I am not sure what I think really about this card though because this is authority turned on its head. It also is giving rise to some deception here. Do we know all the facts? I wonder if she is connected to non biological parents? OR whether there is a problem with the law? I am seeing a difficult situation here in truth regarding the finding of Meara and it seems to be negative. It might be to do with the police or it could be to do with someone who is very dominant. If she is not found before April I would be concerned about negative aspects when finding her. There is a feeling that she is overpowered in this card which could be an arrest or that someone has tried to do something to her or to prevent her being found. I feel like someone is hiding something. I feel as though I need to catch my breath here and I think that there is some kind of 'family interference' or someone that is stalking the issue. Maybe she is the one that feels stalked about being found? Either way, I feel a bit of abuse in the finding of this girl and Im not quite sure whether its her opinion or whether it has been created around or against her. There may be the name Hill or an actual Hill. Did,nt she leave a note or a piece of paper behind? I felt she might have done? However, I will give a FOUR here and also there is a possibility of a vehicle involved here or connected in some way. I see doors open on it but that might be imagination. I am getting the word runaway here. This is a very brief overview and I can see quite a bit more that I can work with but I think the number 4 is the answer to this girl . She might have a difficult partner, father, boss or problems with authority as all of these appear to come up as does B and J possible D and R and also the word Key or lost keys? Maybe a vehicle may figure? Two people are linking here. I hope this is a useful reading in some way and that some aspects of it do apply or assist in profiling the situation or description of location for Meara. I will check back in April if she is not found. Meara Nichols had always admired her Aunt Clovis. Which is why when Meara disappeared from her Everett home in January, her family wasn't entirely surprised. You see, more than 30 years ago Aunt Clovis left her family behind and started a brand new life in New Orleans. She never looked back. "Meara has always said she'd like to pattern her life after her aunt," said Ric Hutchins, Meara's father. "She has said that many, many times." It has been five weeks since anyone has seen or spoken to Meara Nichols. The 33-year-old left behind three children, a husband and a successful career with Nintendo. Police say she closed out her bank account, then opened a new one with strict orders not to divulge her financial information. Her Facebook privacy settings were changed and her wallet was found discarded on the Interurban Trail, just blocks from her home and several bus lines. "We don't have any indication at all that foul play has occurred in this particular case,"
EVERETT -- There is no evidence of foul play in the January disappearance of Everett woman Meara Lynn Nichols. Nichols, 33, was last seen about 6 a.m. Jan. 30 at her home, Everett police Sgt. Robert Goetz said Monday. Her disappearance remains under active investigation, but there is no indication that she is in immediate danger, Goetz said. EVERETT -- An Everett woman reported missing in early February has been found safe in Florida. Meara Lynn Nichols, 33, contacted family members, Everett police Lt. Robert Goetz said. Police in Everett were in contact with a Florida law enforcement agency, Goetz said. Nichols was reported missing by her husband after she left her home in the 6800 block of Commercial Avenue and didn't return. "She has not been talking too much about her reason for leaving," Goetz said. Meara was found in April. I think Tarot was quite correct about the Fourth Month and clearly the Tarot points out that perhaps she might not wanted to have been found. Not sure what part of Florida but Tarot probably has tried to describe where. Maybe she was on the West coast? Details are not published right now but I will check back if there are any.